The Swiss+Tech Utilikey is an interesting product. Using the Utilikey is like drinking Natural Light, it’s not great, but it beats nothing. Barely. Marketed as “The smallest and most compact multi-use tool ever developed” the Utilikey manages to be technically capable of a number of tasks, while simultaneously performing all of them rather poorly. 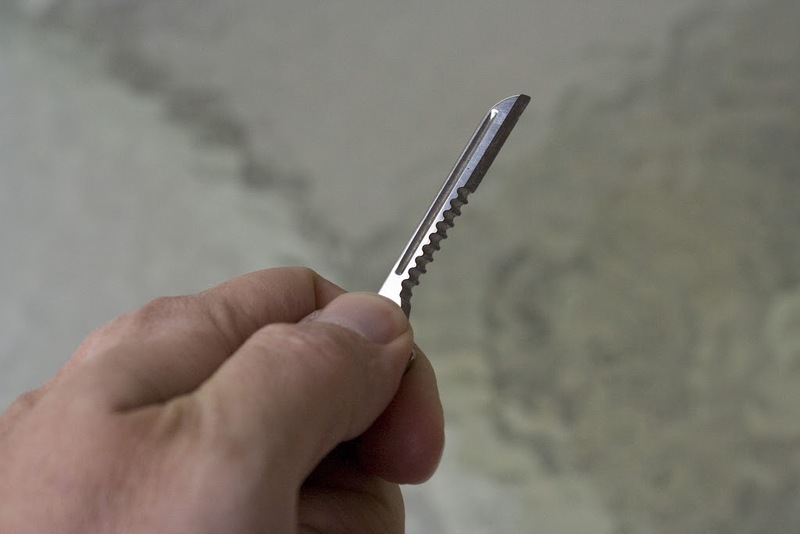 At best the Utilikey is an uncomfortable tool to use, while at worse using it could result in several stitches. It is both ingeniously engineered and poorly designed. It bears all the signs of having been extensively created to perform tasks off a checklist, without ever having been tested. Despite that, I carry one in my pocket every day, and I find that I rarely want to seriously lacerate my fingers. Why is that? 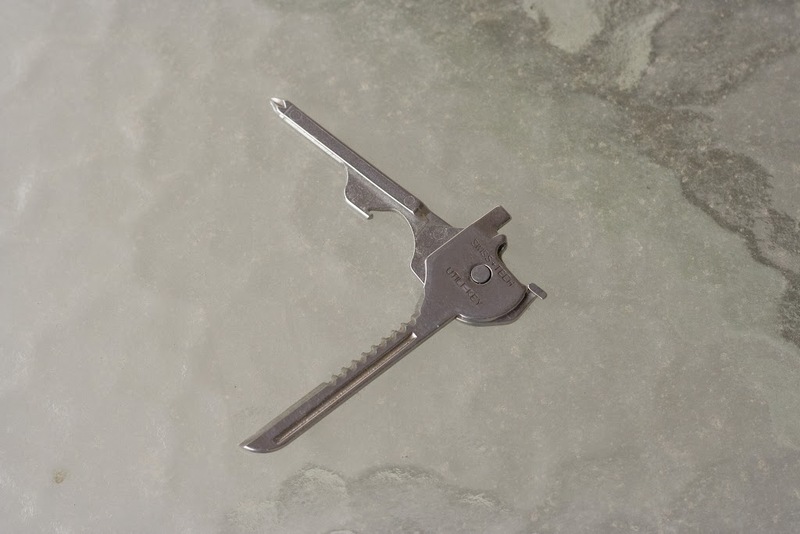 The Utilikey is constructed of stainless steel and rotates on a single pressure fitted pivot pin. A spring arm serves as booth tension spring and blade lock, cleverly fitting into notches to provide a soft lock for safe(ish) operation. There’s some question of the steel used and some indication that the specific steel has changed throughout the production of the tool. It’s most likely 420 stainless, and based on some of the markings it’s very likely injection molded from powdered metal. This means that it has all the strength and resilience and strength of a $12 steak knife set, and this is reflected in the low purchase cost, ranging from $3 to $15 depending on retailer. I received mine several years ago as convention swag from a software vendor. Due to their size and construction, the screwdrivers are virtually worthless. Too large to tighten the screws on your glasses, they’re too small to perform most other tasks. The Phillips driver is so rounded from either the injection molding or stainless plating that it can’t get satisfying purchase in any screw head it’s sized for. The location and configuration the blades makes it difficult, if not impossible, to produce sufficient pressure or torque to remove most set screws. Given the construction, I suspect it wouldn’t take much torque to helplessly ruin the blades. Claiming the Utilikey has two blades is misleading. It would be more accurate to say it has a single blade with two edges, one straight and the other serrated. This common edge variation is seen on any number of cheap as well as expensive folding and fixed blade knives. The combined edge length is just under 1.75″ with a chisel grind of about 40 degrees. The edge is surprisingly sharp, but given the materials, likely wears quickly and won’t take a more aggressive grind. You won’t be shaving with this blade. The bottle opener is the tool that presents the most possibility and therefore is likely the most disappointing. 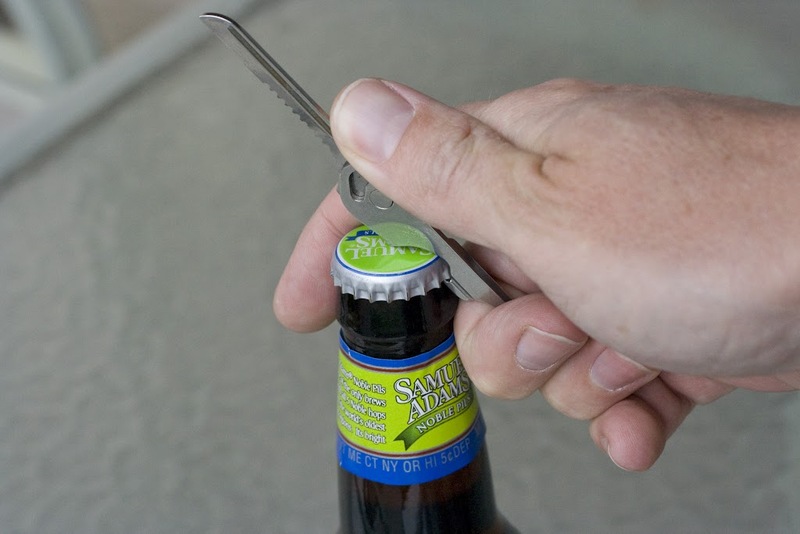 The tool has to be fully opened to use the bottle opener, a task that can be difficult, requiring surprising force to bypass the spring arm lock. This is another area where the clever design of the Utilikey works against itself. The spring arm is also the ring hole for the tool. 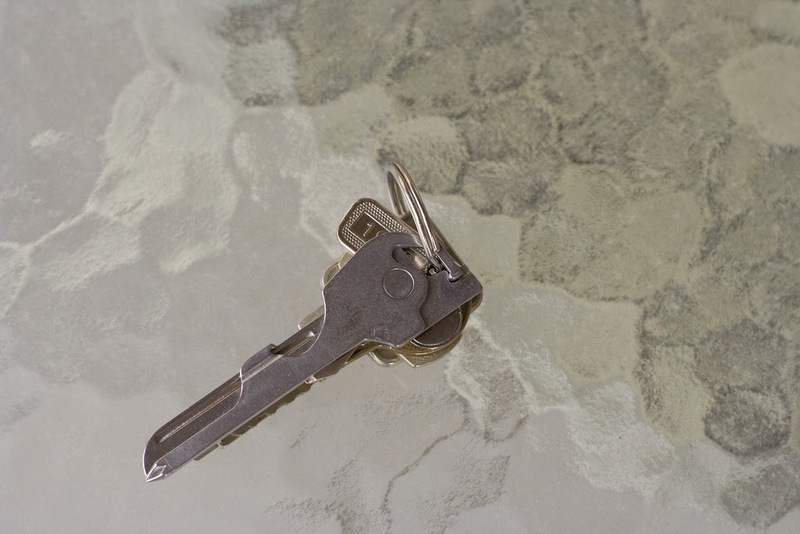 This means that opening the tool at all separates it from your key ring, a maneuver that requires two hands and almost always ends up with your keys dropping to the ground. Once opened, getting the proper leverage on the tool to pop a cap can be uncomfortable and dangerous, obliging the user to wrap one or more fingers around the naked blade. Unless you’re opening root beer, this is a task that gets more dangerous the more you do it. With all that being said, why do I still carry one? There are three reasons. Firstly, it’s light weight and unobtrusive. At 0.5 ounces, it’s virtually weightless on my key chain and it’s roughly the same size and shape of the keys. I never notice that it’s there. Secondly, it’s cheap. Available from a variety of retailers for the cost of a cup of coffee, placing the Utilikey in case of loss, damage or failure is trivial. Thirdly, and most importantly to some, the Utilikey is virtually invisible to the TSA. Toss your keys, with the Utilikey attached, into your carry-on bag before going through security, and chances are very high that no one will look twice. I’ve flown with the Utilikey dozens of times, and even though my toothpaste and contact solution has been seized, no one blinks at my keys. If they do take it, see reason #2. The Utilikey won’t help you defend the flight cabin against a hatchet wielding terrorist. The inflight magazine would make a better defensive weapon. If, however, you need to open a clamshell package on the fight, or later in your hotel, or trim a painful hang nail, the Utilkey will suffice. In the unlikely event that you find yourself stranded on a desert island with a volleyball for companionship, the Utilkey won’t work as your primary survival tool, but it could be instrumental in creating other tools at a time when any steel blade is better than nothing. The Utilitkey is like Insurance; you don’t really like getting it, using it, or having it around, until you need it. When you need it, and you have it, you’re glad you went to all the trouble. This entry was posted in Multitool, Survival and tagged Swiss+Tech. Bookmark the permalink.